DJing started with playing vinyl discs on turntables but nowadays most DJs are mixing music with software that they control with MIDI-controllers. Those controllers have different shapes ranging from a keyboard to a mixer. 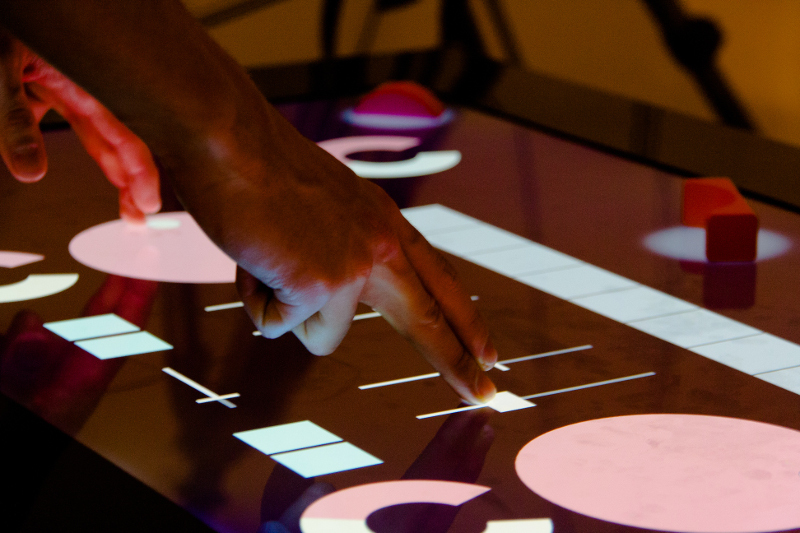 Multi-touch-surfaces are becoming more affordable and accessible and could be the next step forward in DJing. Musicians do not have to bring all their MIDI-controllers any longer because they can create their own layouts for different tasks like mixing or live performances. Musicians can easily switch between these layouts during their performance, however a major problem of touch-interaction is the loss of tactile feedback. 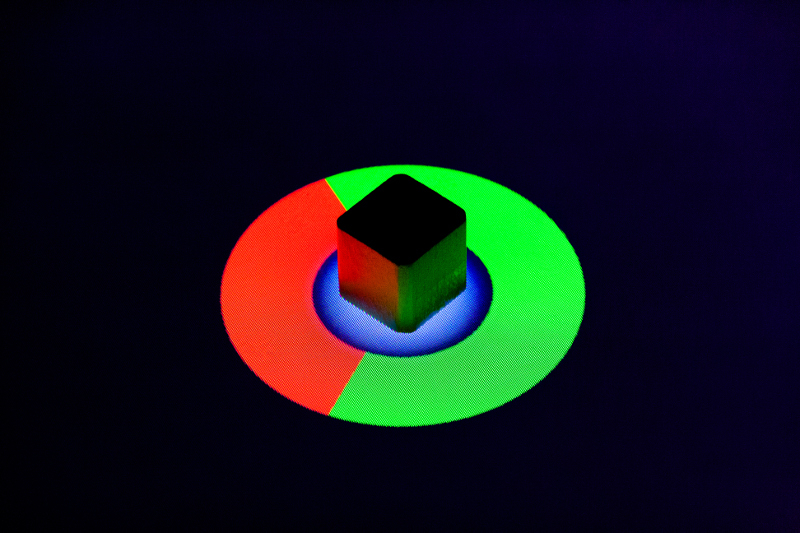 Tangibles are objects recognized by the touch-screen that enable a more intuitive way of interacting with the touch-surface and they could solve this problem. 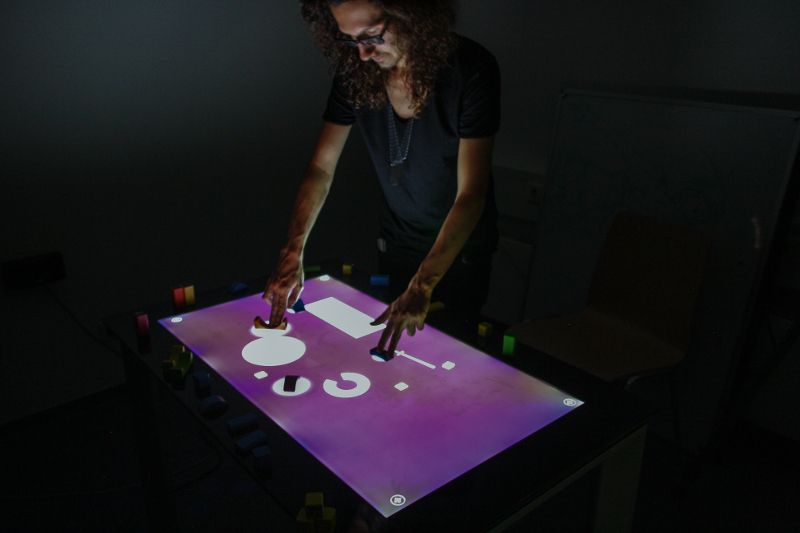 The goal of this thesis is to design a MIDI-controller on a touch-screen for controlling DJing software and digital audio workstations with a tangible user interface. 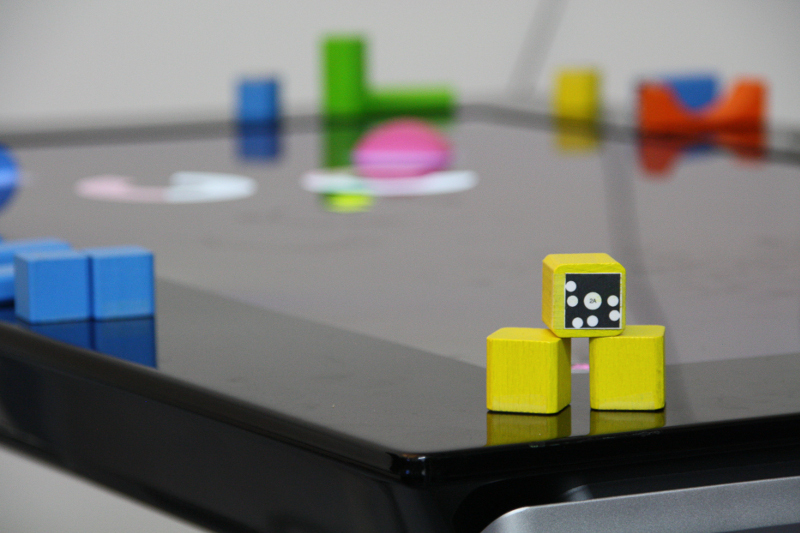 For the tangibles, we used wooden toy building blocks with markers for the Samsung Sur 40. 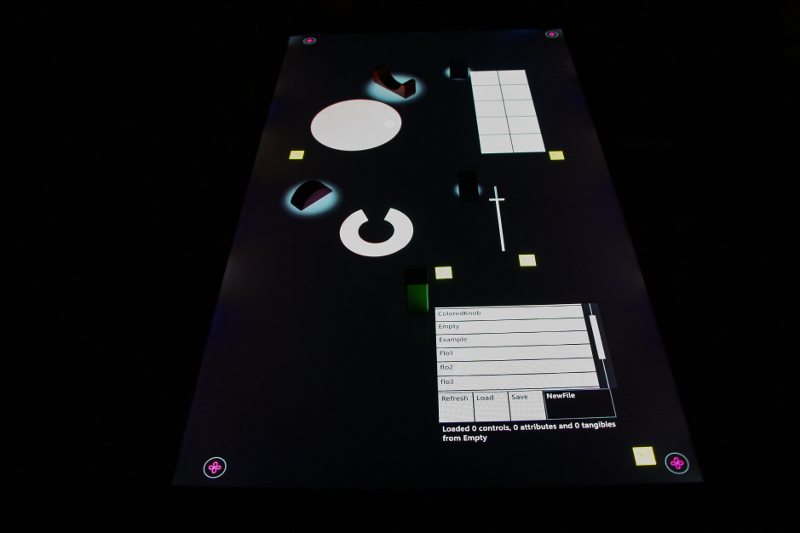 This tangible sends MIDI-messages when you slide it over the screen. It can be used similar to a fader or a knob found on conventional MIDI-controllers. The tangibles spawn different touch-controls. Here you can see a wheel, pads, a knob, a slider and the file tangible. A participant of the user study building a layout with the tangibles. And the result in action.